Whether you are casting spells or attending a royal ball, exude mysterious elegance when you wear the Hooded Renaissance Sorceress Gown - Blue and Gold. This gorgeous dress is based on medieval, Renaissance, and fantasy styles. Easily achieve a layered look with the clever paneling of this Renaissance gown. The outer panels are a high end, royal blue taffeta, while the front panel is a patterned gold brocade. Adjustable blue lacing over the bodice reinforces the effect, and lacing on the back of the bodice creates a perfect fit. 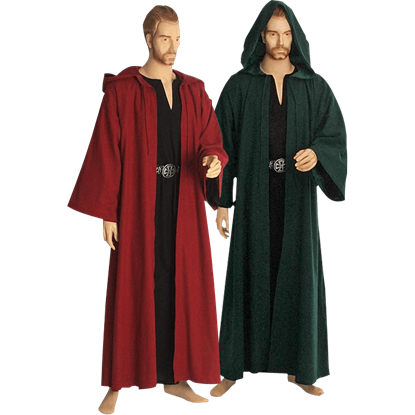 The long bell sleeves can be cinched up or let loose for drama, using incorporated cords, and the full hood ends in a point. 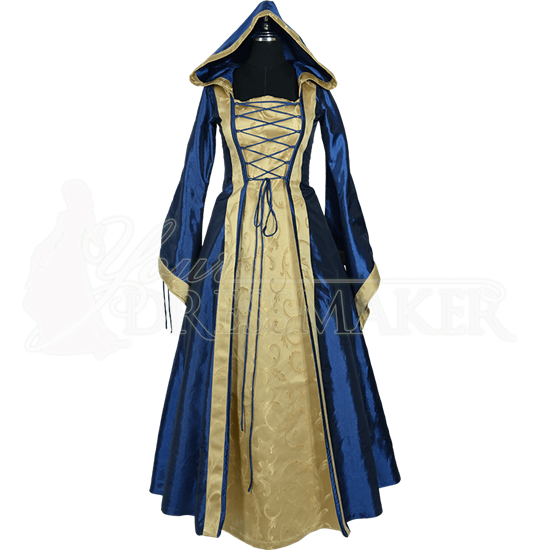 The front edges, sleeves, and hood are trimmed with the gold brocade, and the inside of the dress is lined with the blue taffeta. 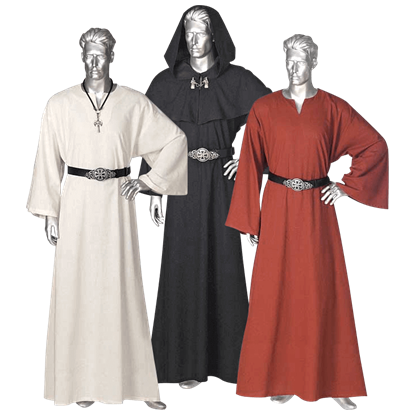 Take this princess gown to your next Renaissance festival, masquerade, or costume ball! To give the long skirt the full look shown here, wear it with our A-Line Petticoat (MCI-145), sold separately.